My name is Maya Sato and, I currently live in Los Angeles. I’ve been here since 2008. I encountered Pure Land Buddhism while I was attending university in Japan. Pure Land Buddhism is the most popular school of Buddhist philosophy over there. It was founded by a Japanese Buddhist thinker and teacher by the name of Shinran Shonin. I was fascinated by these teachings immediately. What impressed me the most was learning that Buddha’s compassion pours the most over those who suffer the greatest. Buddha feels pity on human beings and is therefore trying to save all of them. This holds true regardless of whether we believe in his teachings, whether we follow his instructions, and even whether we are evil or good. This completely changed my impression toward religion. Up until then, I thought that all religions required me to believe in some Supreme Being or they all commanded me to follow certain instructions for me to be saved. But Buddha’s teachings are completely the opposite from those methods. Once I was in L.A., many people came up to me asking what exactly Buddhism taught, how it differed from the Western religions, and what mindset was required for daily life. After having many of those discussions, I learned that Buddhism is still an undiscovered philosophy in this country. However once Americans are exposed to the teachings, most are affected by its profoundness. This has encouraged me to launch the American Institute for Buddhist Thought and this website so that I can share the teachings with more English-speaking people. We have named ourself the American Institute of Buddhist Thought to fulfill our ambition to become a major source of information regarding Buddhism in the United States. Even though all the essential teachings of Buddhism themselves are quite common, the tradition or the way of each practice differs from country to country and from sect to sect. For this reason, we invite all of you to join our discussions and share your experiences by posting comments on this website. In conclusion, if you are interested in learning more about Pure Land Buddhism, we recommend two books as a good introduction to the teachings. 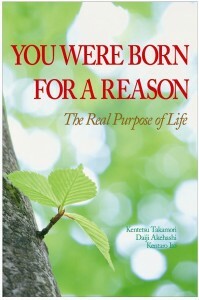 To deepe n your understanding of Pure Land Buddhism philosophy, please read: “You Were Born For A Reason.” It will provide you great guidance. If you want to know more about the Buddhist mindset toward daily life, “Something You Forgot … Along the Way” will give you many clues.